I spent the morning assembling synthesizer kits. After 50 or 60 packages, my consciousness began to wander down seldom visited neural pathways. I remembered a car mag article from the 1990s that listed a few "bargain" sports cars. Bargain cars are often cheap for a reason -- dubious reliability, bankrupt manufacturers, odd paint jobs and so on. But one stood out. It was the 365 GT4 2+2, AKA the ugliest Ferrari I've ever seen. The article harped on about its performance, quad exhaust and sub-$25,000 price tag. But I couldn't get past its decidedly docile appearance. Just over 500 of these angular 2+2s were produced between 1972 and 1976. Beneath the hood lurked an utterly impressive 12 cylinder engine that put out 340 bhp -- enough to push it from 0 to 60 mph in just 6.4 seconds. It was also strikingly fast, with a top speed of 155 mph. In the pre-SUV sport wagon era, this was probably the only way you could take the kids along for a Sunday afternoon jaunt. But you just know they were snickering in their leather rear seats. 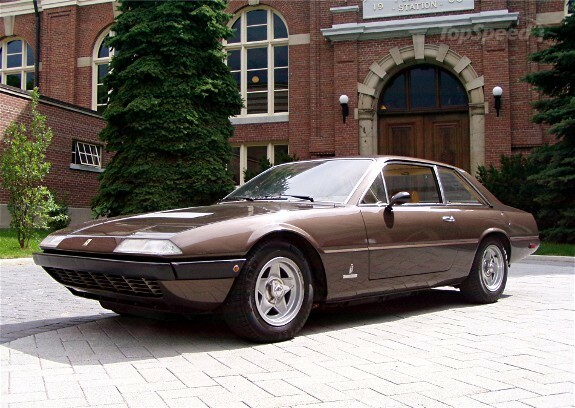 It is interesting to note that this wasn't the only weird Ferrari design to wear the 365 badge. The 365 GT4 Croisette was a peculiar estate wagon prototype. Mercifully, it was led behind the barn and shot before reaching production. Gerard recently sent a few photos of this old Sony table radio, asking for more information. 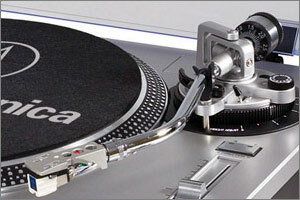 It's a Sony TR-72, released only a few months after the company's legendary TR-55 transistor set. This model was imported into Canada between 1956 and 1960 by Manitoba-based Gendis (General Distributors) -- hence the "Gendis / Sony" branding on the tuning knob. These radios were quite popular in Canada for a year or so before the Sony TR-63 made its way to the USA, and a total of around 40,000 TR-72s were produced. The 10 cm speaker puts out 0.2W of sound, and the set is powered by 3 x 1.5V batteries. There was apparently considerable variation in the color of the wooden case, which adds to the unit's charm and collectability. Above all, the TR-72 is a wonderful reminder of how much technology has changed in only a few decades. The weak point in many vintage computer and music production systems is the floppy drive. They were unreliable when new, and getting a 30 year old drive to run predictably can be a massive headache. Floppy disks degrade with age and drives often fall out of alignment or fail once parts become brittle. The truth is that they weren't designed to last for decades. The HxC is a brilliant way to keep old microcomputers running. It's a multi-system emulator that comes in two versions -- you can either load files from an SD card or through a USB connection. The number of platforms this thing supports is astounding: Atari ST, Amiga, Amstrad CPC6128, Sinclair ZX Spectrum, Commodore 64, Radio Shack TRS-80 and many others. The HxC also works with a variety of vintage music synthesizers and samplers from the 1980s and 1990s, including the E-mu Emulator, Ensoniq Mirage, Roland S-Series samplers and even the E-mu SP1200 sampling drum machine (a hip-hop legend). The HxC supports firmware updates by SD card and can be configured to autostart the last loaded floppy image at power up. You can pick one up on eBay for $109.99. Just over 100 Porsche 904s were manufactured under the Carrera GTS name, starting in 1963. The car was never intended for mass production and was built only to satisfy GT race requirements. Not surprisingly, demand for this futuristic supercar far outstripped supply. It was Porsche's first fibreglass body, and the combination of a sleek lightweight chassis and mid-engine power plant proved formidable on the racetrack. Alas, owning one of the originals is a prohibitively expensive proposition. Chuck Beck has a long history of manufacturing quality reproductions of the Porsche 356 and 500, and he stepped up to the plate to bring a 911-powered replica of the 904 to the masses. The Beck 904's air-cooled 3.164 L six-cylinder puts out 250 hp (net) mated to a 5-spd transaxle. A curb weight of only 1,740 lbs ensures ferocious performance, with a very respectable 0-60 mph time of 3.6 seconds. The Beck 904 doesn't come with niceties such as satnav or air conditioning, but it offers a chance to drive a surprisingly authentic remake of a classic Porsche at a cost of around $50,000 + drivetrain. Incidentally, Peugeot complained about Porsche's use of a zero in the middle of their model numbers, arguing that this was a hallmark of the Peugeot naming scheme. As a result, the Porsche 901 was rebadged the 911 and only Porsche race cars carried a zero from that point on. Tissot Visodate: The Perfect Dress Watch? As far as I am concerned, the Tissot Visodate is just about the perfect dress watch — and not just because it looks like something Don Draper would wear. The restrained silver-on-white face is elegant. Because I am incapable of remembering the day of the week, I need a day display, which I have discovered is a rarity in the world of automatic dress watches. And keeping things ticking along is a 25-jewel ETA movement. All for a street price of less than $500, which is certainly more than a Seiko 5 but decent for a Swiss-made automatic. Released last year, the Visodate gets "inspiration" from watches of the 1950s. It was around that time that Tissot started including a day window on some of its watches. The designers of the new watch did a great service by selecting a slick old-style Tissot script logo, which is certainly a lot more inspiring than the blocky sans serif the Swatch-cousin uses now. Of course, thinking about 1950s men's fashion made me wonder what watch Draper wears on Mad Men. (It should come as no surprise that his every fashion choice has been dissected online.) Turns out he's a Jaeger-LeCoultre Reverso kind of guy. Nice, but well out of my price range. According to Kurt Mottweiler, "Cameras should be curved and made of wood and brass." I couldn't agree more, especially when the result is the P.90 lensless camera, handcrafted in Portland, Oregon. It uses medium format film to take 90 degree wide images that measure 6 x 9 cm. You can capture a grand total of 8 frames on a single roll of 120 film. It weighs only 352 grams and is constructed out of cherry wood, brass and Phenolic. Of his cleverly curved construction, he reports, "The pinhole is located at the geometric center of a curved film plane. As a result, the images are equally bright from edge to edge and have the curvilinear perspective typical of panoramic cameras. The top of the P.90 includes the film wind knob at the upper left, the shutter knob at the center top, the fixed feed reel spindle at top right and the safety latch knob for the back at the lower center. A pair of etched lines at either side of the Mottweiler Studio camera logo indicate the lateral extents of the camera's field of view." The standard P.90 retails for $975.00, plus $25.00 for the accessory bubble level (shown in the top photo).The cameras all have serial numbers and are part of a 50 camera edition. Kurt also makes at least one custom camera in each production run. They typically sell for $1200 and up, depending on the particular features. Few photographers can afford a $1000 pinhole camera, which is a pity because they elegantly blur the line between technology, art and fine craftsmanship. When I was a kid, I loved taking apart electromechanical gadgets to discover their secrets. This was in the dark age before the Internet, when knowledge oozed and dripped like tree sap, rather than flashing around the world at the speed of light. Todd McLellan takes teardowns to another level by ripping old devices apart and photographing them for his Disassembly series. Now Mr McLellan has splattered his K1000 Pentax Spotmatic F all over a backdrop, just so we can marvel at the sheer effort required to design and assemble one of these apparently simple devices. This image and others in the series are available as limited edition prints from 20x200. I was still a kid in the early 1980s, but I vividly remember my father's excitement when he bought an Apple II equipped with a 9" monitor and two 5-1/4" floppy drives. I get nostalgic every time I see a dusty old floppy disk. Rossum has similar memories of his Atari 400, which came with a hulking Atari 810 drive. In 21st century hacker fashion, he decided to use an 8 GB microSD flash memory card to build a minature replacement capable of emulating up to 8 drives. The original stored 90 K on a single sided disk. His solid state version can store the equivalent of about 90,000 floppies. The Atari 810 was an intelligent peripheral with its own microprocessor (a similar scheme was used by Commodore) that communicated with the host computer using a 19,200 bps serial connection. It's relatively easy to get a modern microcontroller to emulate the drive signals and pass data from a flash memory card, and Rossum chose an LPC1114 microcontroller for the task. And the case? He reveals its secret: "The enclosure is a 3D print from Shapeways. This is the first time I have used them and I have to say I was delighted bt the experience. My inexperience in 3D modeling is evident but Shapeways sent me a lovely collection of little enclosures in various materials. I tried to make it as small as possible and still accomodate the microSD card. Testors enamel completed the look (make sure you mix in some olive with the light tan and cream)." The great thing about this hack is that it's more than just a clever conversation starter. Floppy disks were never terribly reliable, and years of neglect and flaking oxide has made many virtually unreadable. Modern flash drives provide a convenient way to program vintage hardware, ensuring that future generations can experience they glory of 8-bit. There has been a fantastic resurgence in DIY over the past decade, driven in part by the emergence of thriving online communities and magazines such as Make. The coolest thing about making stuff is that once you've made or restored one thing, you find yourself moving on to bigger, better and cooler projects. However, you need to find the perfect project to get started. If it's too simple, you'll lose interest. Too difficult and you're likely to fling a wrench into the crooked turbine blades of your half-finished stealth hovercraft. That's why I love electronic kits like this Elenco AM/FM radio. It's been on the market for over 20 years, but that doesn't make it any less cool. The circuit board is cleverly laid out with the parts installed on top of a silk-screened schematic -- a great way to tie theory and practice together. Even if you don't understand precisely how it all works, you'll learn a far bit about the various stages of a superhet radio receiver. The Elenco AM/FM radio kit is available from Amazon for $30.57. There's also a simpler AM-only version for $17.69. The Sagemcom Sixty pays homage to the classic French Socotel S63 telephone.The €89.90 unit features a DECT cordless handset with 10 hour battery life and a range of up to 300 m. It incorporates a decidedly modern white-on-black dot matrix screen with 13 LED dial buttons that flash in sequence to mimic the motion of the old rotary dial.